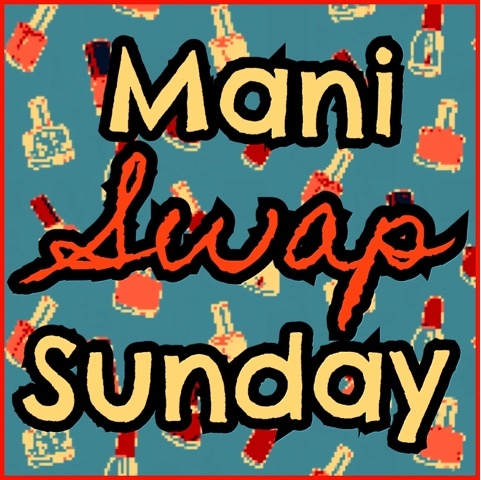 Today for Mani Swap Sunday I teamed up with Opal! I recreated her rainbow water marble mani with leopard print. Plus acrylic paint for the leopard spots. I just absolutely love this look! Very Lisa Frank. Opal recreated my safari reflections mani that I was inspired to do for Digit-al Dozen in July of 2015 by fellow DD member Laurie. 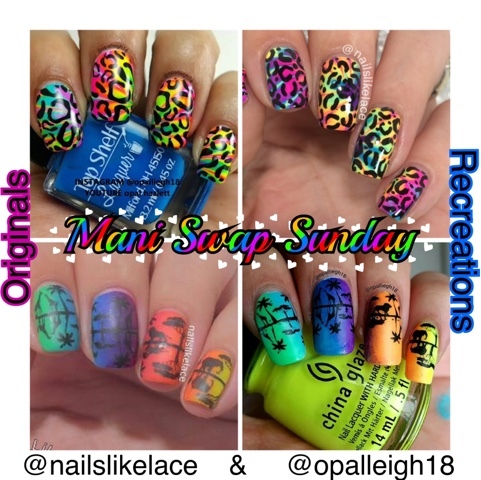 We've also both done videos for our recreation manis on our YouTube channels so don't forget to check Opal out there too! And of course thanks to Opal for swapping with me! These are always so much fun to do and I love how different our styles are!